Miami, FL, United States (4E) – Selena Gomez decided to cancel a meet and greet prior to a concert following the tragic death of her good friend Christina Grimmie . Grimmie was signing autographs outside the Plaza Live in Orlando, Florida on Friday evening when her killer came up to her and shot her. Her killer eventually turned the gun on himself. Aside from the photo that Gomez tweeted, she also shared a link to the GoFundMe page set up by Grimmie’s family to help cover for the funeral expenses. Gomez and Grimmie first met when Brian Teefey , Grimmie’s step-father an manager, discovered the former “The Voice” finalist on YouTube. 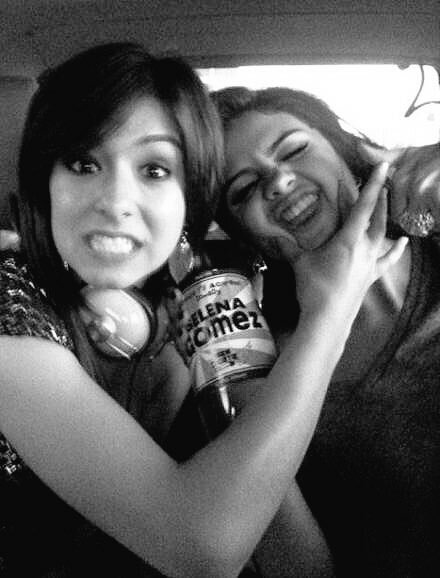 Gomez and Grimmie later performed together on “Stars Dance” and “We Own the Night” tours. Grimmie once said of having Gomez and her family in her life back in 2011 while being interview by Seventeen magazine, "I'm so blessed that they're in my life. They're literally like a family—Selena has been so encouraging ever since we got hooked up. It's crazy! It's very much a fairy tale." Gomez also dedicated a song to Grimmie but also broke down on stage. According to fans, Gomez sang her Hillsong cover of “Transformation” to Grimmie and she told the crowd how much the late singer meant to her. Grimmie is also best known for her “The Voice” audition when she covered the song of Miley Cyrus entitled “The Wrecking Ball.” Her performance was a four-chair turner and ended up in Adam Levine’s team.